Amigami is currently hard at work on several web design projects for local businesses & organizations. At this moment we’re developing the website graphics & formatting, and will definitely post the URLs as soon as the sites are live. The first business is a local restaurant, Pizza Express, whom I’ve worked with before in developing a logo for their new line of frozen pizza. Pizza Express is a great example of a successful local business, their food is terrific, and I’m so happy to be working with them. 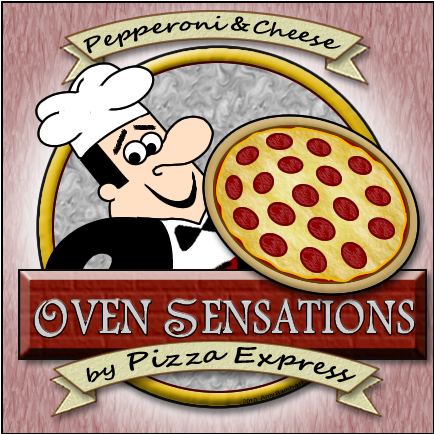 We will be creating a new and improved storefront website, as well as a page for their frozen pizza line, Oven Sensations. Additionally, I’ve been appointed as Webmaster for the Wheeling, WV Moose Lodge. The Loyal Order of the Moose is an international fraternal organization, much like the Lions or Eagles, with a focus on family and community service. Although the Wheeling Moose is a tight-knit community, they’ve decided to join the online realm in order to stay connected with other Moose lodges & chapters and let the public see all the great activities they’re involved in. I firmly believe in the idea of local businesses & communities supporting one another, and offering my graphic & web design capabilities as a service is just one way of making that idea a reality. If you or someone you know would like to discuss similar web design projects, please contact Amigami for a consultation.